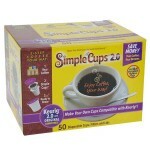 Sign up for Auto Delivery and Auto Billing with custom time-frames and SAVE! 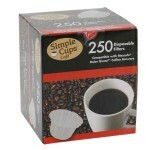 Choose to receive your Disposable Coffee K-Cup lids 100-pack every 1-6 months. Whatever works best for you. You may edit your delivery dates at anytime. 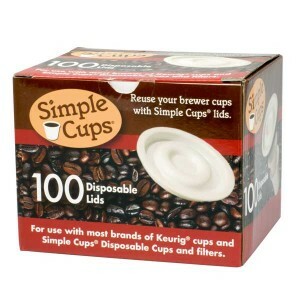 Disposable Lids for Use in Keurig® Brewers - Simple Cups - 100 ReplacementLids - Use Your Own Coffee in K-cups: Enjoy your own coffee your way with Simple Cups. 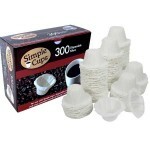 Use your Simple Cup Filters with your Simple Cup disposable K-Cups, or with any K-cup and save immediately.